Introducing…Annabelle Nicole Faith!!! Born 9/21/16 at 1:07pm. 5.5 lbs and 18.9 inches long. She is in NICU but doing well. Just waiting on her to up her feelings a bit and she will hopefully be discharged tomorrow. As you may know from past adoption posts, they do have until the court date in 30 or so days to change their minds so if you could pray/send positive vibes that they don’t and all goes smoothly…we sure would appreciate it!!! P.S. I should add that if we’re friends in FB or Instagram, please don’t say anything about it on there. We are waiting for TPR date to announce on FB. Mom guilt…it’s very real even when your child is not on this earth with you. 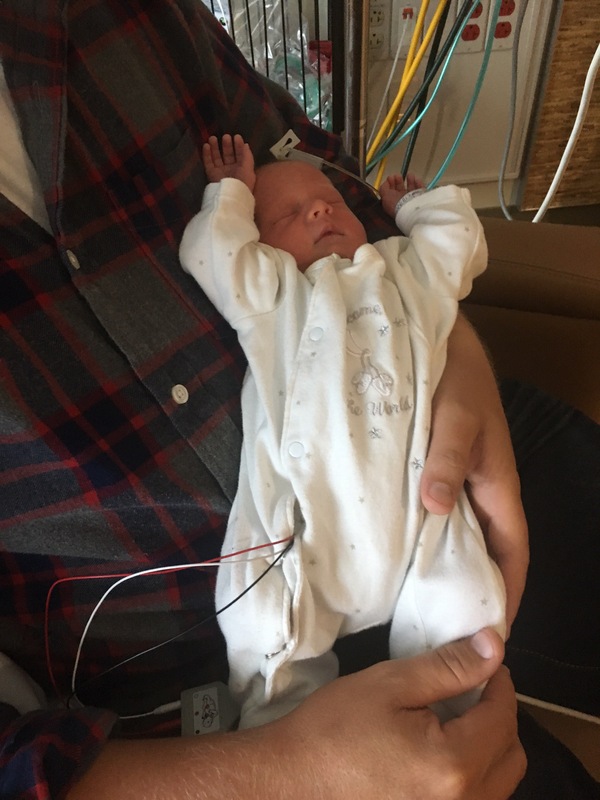 Sunday, August 23rd was our due date and the day came and went without me even remembering what day it was. In fact, I had a fantastic day that day and when I realized it yesterday, I cried. I can’t believe that I didn’t remember what day it was. I should have done something in remembrance of our baby. Around this time every year, I run a Packer board to raise money for the Alzheimer’s Association, and because of my amazing friends over the last few years we have raised over $8000 for the cause. Don’t know why, but dad and the topic of Alzheimer’s has been on my mind a lot lately. I was thinking about what it is I was going to do this year when I read a post from a friend of mine, Dawn . 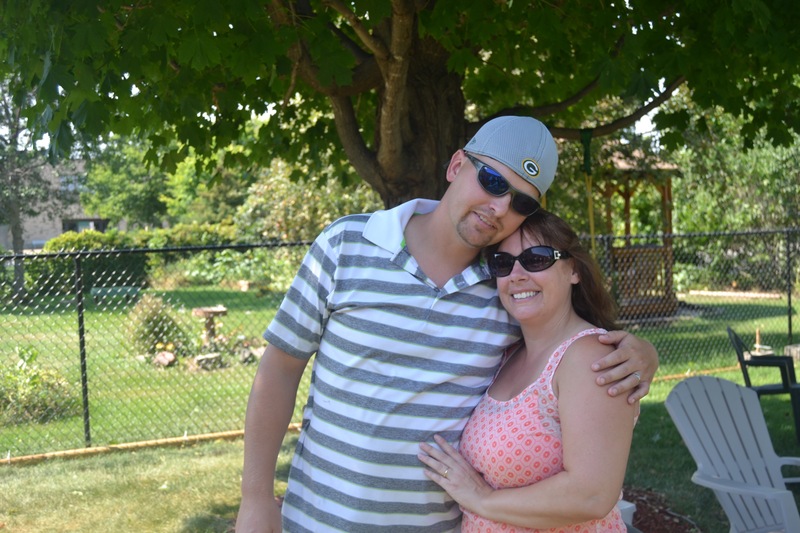 Dawn and her husband J, have tried everything in their power, including tremendously expensive procedures, to have a family of their own, and it just hasn’t worked for them. Honestly, I know J only from what I read and see on Facebook, but I have known Dawn for years, and I know that, if any 2 people are prepared and deserving to shower the love of a family on a child, it is them. I am the youngest of 10 kids and I love my parents eternally, and wouldn’t trade being raised by them for anything in this world…all children deserve the opportunity for that kind of love. I know family was important to my dad, and he would support this 100%…and would do whatever he could to help….that is why I am foregoing the Alzheimer’s board this year and directing it toward this cause. 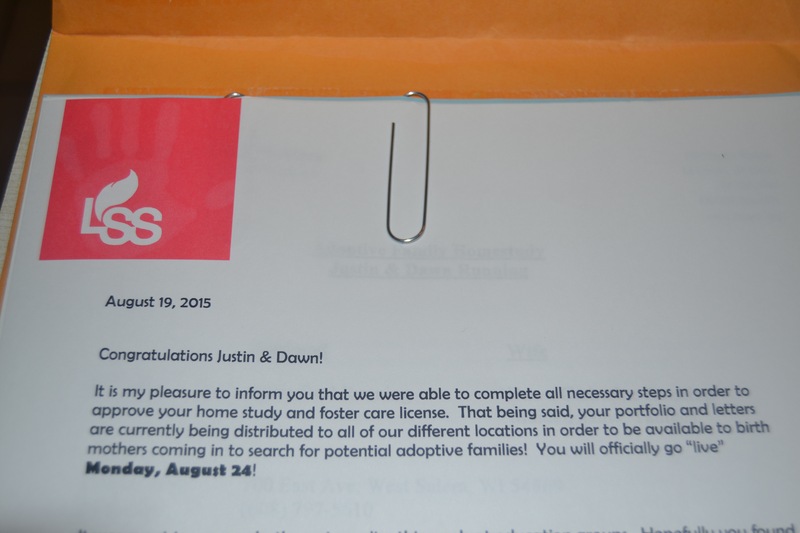 I think J & Dawn deserve the opportunity to show their unending love to a child…and at this point they are faced with a bill of $8500 to continue in the adoption process. I am hoping you will support this years fundraiser, which will benefit not only J & Dawn, but that unknown child that is so deserving of their love. 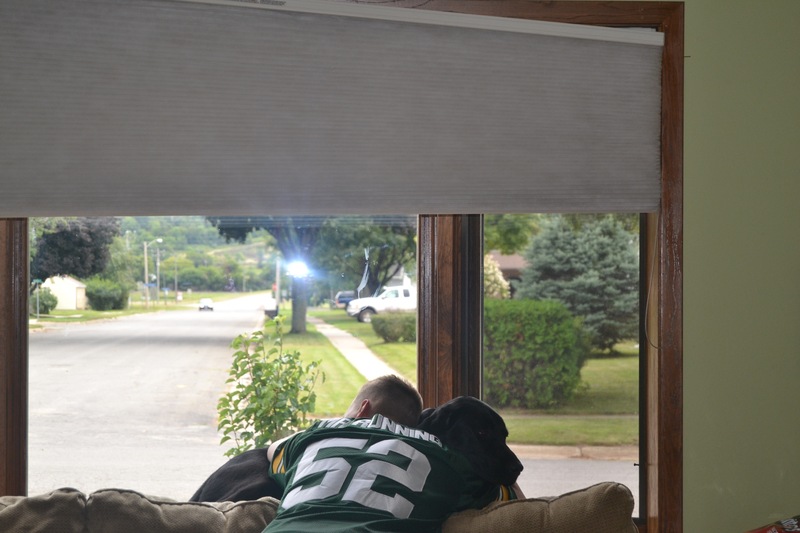 I am in the process of acquiring prizes for a Packer board that will raise $2500 for this family and will let you know when the $25 squares go on sale. If you know anyone that would like to donate a prize or be part of this, please let me know…MUCH LOVE TO YOU ALL!! God truly does answer prayers in the most spectacular ways! In an effort to encourage us to take more pictures and be more present on our days off, I am going to start doing a weekend recap each Monday. This weekend was a great one! Friday night~Not much happened. J and I actually argued a bit because he wanted to go play in a pool tournament and I felt like he’d rather be doing anything but hanging out with me. He did end up going and I had a quiet night on the couch with the pups; reading and watching some tv. Saturday~We hosted a BBQ. We try to have one at least once a summer and hadn’t had a chance to have any this year. Quite a few people showed up and they were from all different groups of people so it was actually a bit difficult trying to make sure you got in time with everyone. It brought me back to our Wedding day all over again, lol. A great time was had by all though. I brought the camera out but forgot to take pics during the actual party but here are some before and afters. J and I before the party got going. 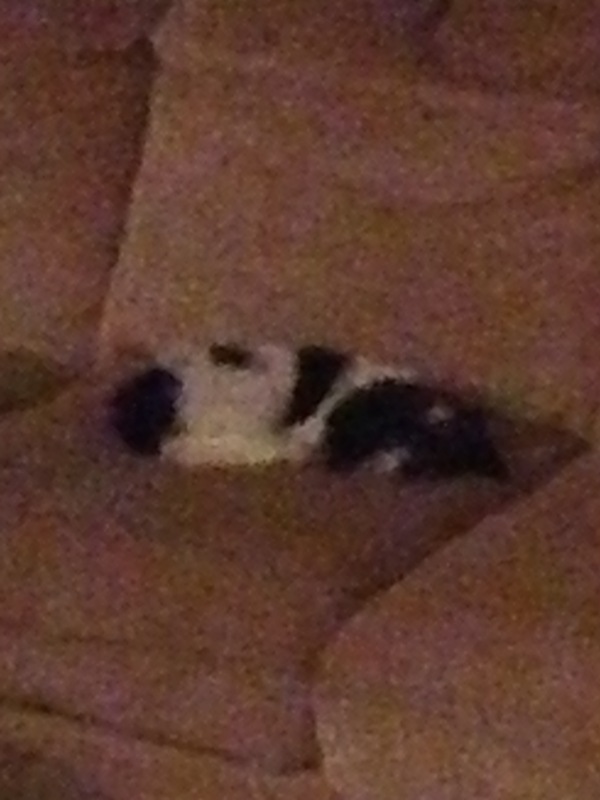 Bandit was tuckered out after being picked up (and dropped), chased and loved on by several children. 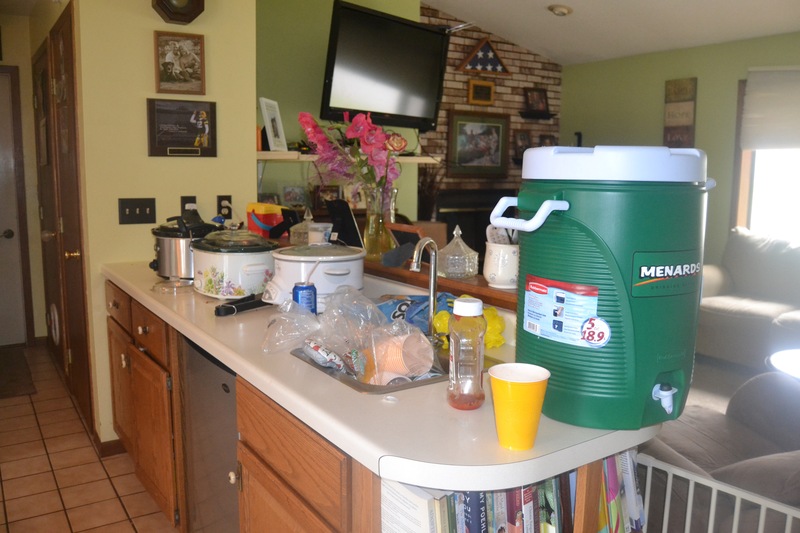 You know it was a good party when all the empty crockpots and dishes are sitting on the counter the next morning! 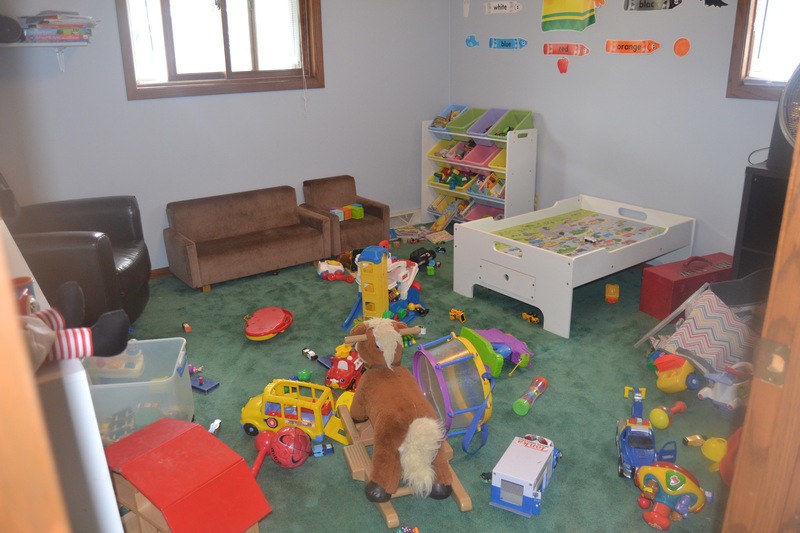 This is just the playroom on the first floor. The basement playroom is destroyed too. There were so many kids here and they clearly had a wonderful time, lol. Sunday~This was my favorite day of the weekend. Seeing everyone on Saturday was fantastic but today was just J and I and it was sorely needed. I woke up before him and had a couple cups of coffee while continuing to try and catch up on all your blogs. I also had a good chat with my friend Tracy from CT. 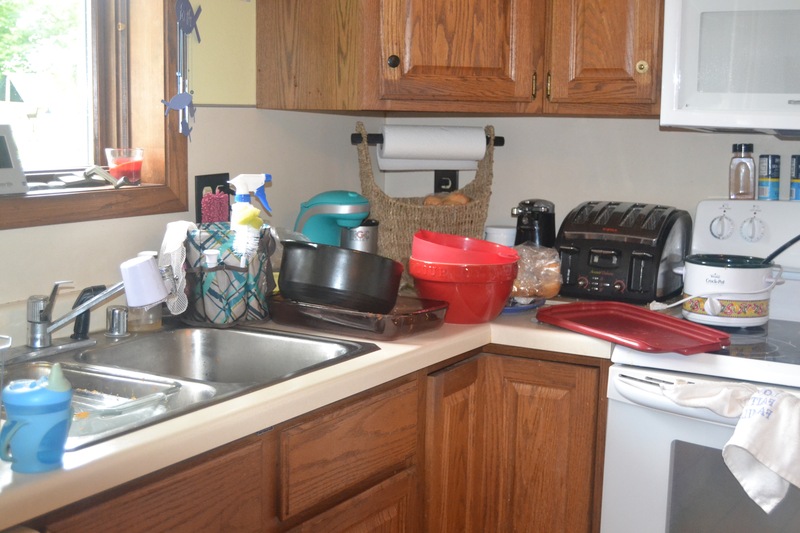 When J got up we started cleaning up and getting the yard and kitchen all picked up. We headed out to this little diner nearby for breakfast and then came home to watch our Pack! This is the first time in I seriously don’t know how long that J and I laid on the couch together. Thank God for football season coming back! 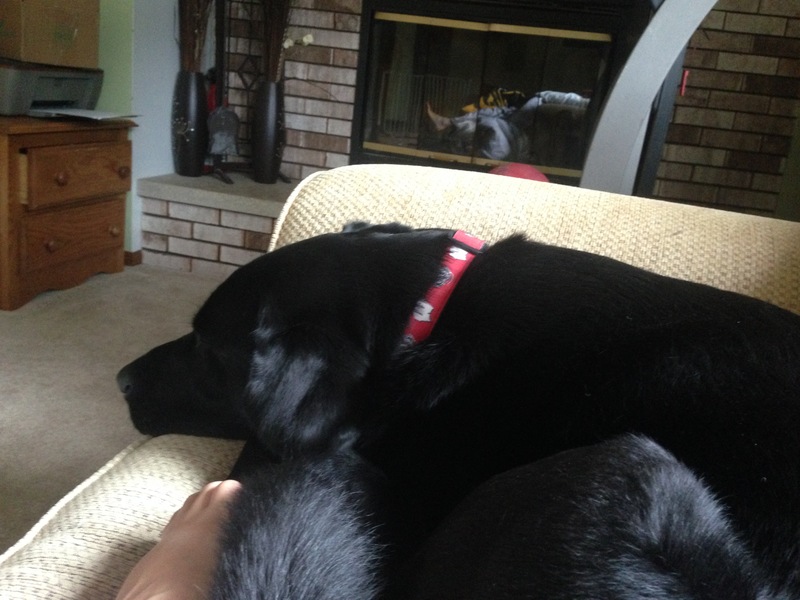 Even Rocky was on the couch being lazy with us and watching the game. Unfortunately, one of our very Best players, our beloved Jordy Nelson was injured right in the beginning of the game and if it’s as bad as they are speculating, it could seriously hurt our chances for a great season. 😦 Hopefully, he’s okay and back on the field soon. We also ended up losing which totally sucked, but at least it’s pre-season. After the game (with a little nap during it), we finished cleaning up and then headed out on some errands. 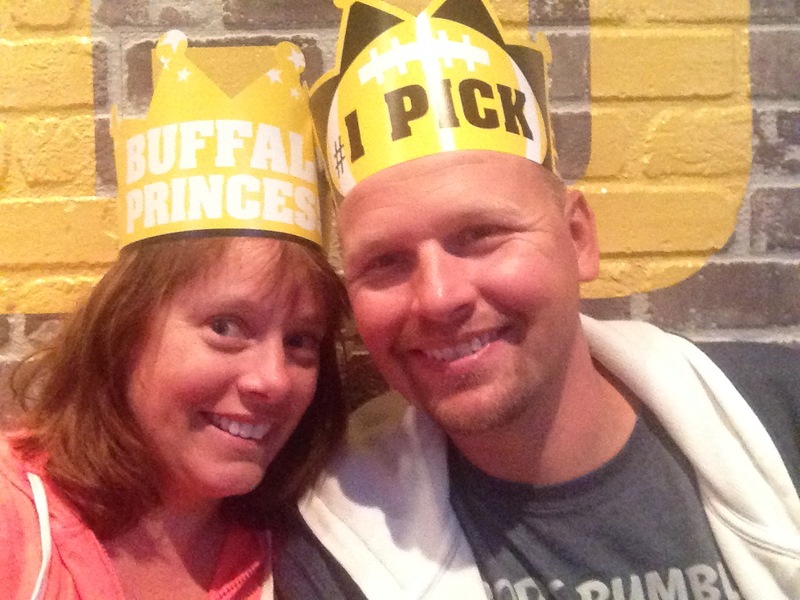 We decided to stop by B-Dubs to grab some food to take home and found the best crowns there. It’s been a long time since we’ve just let loose and gotten silly. 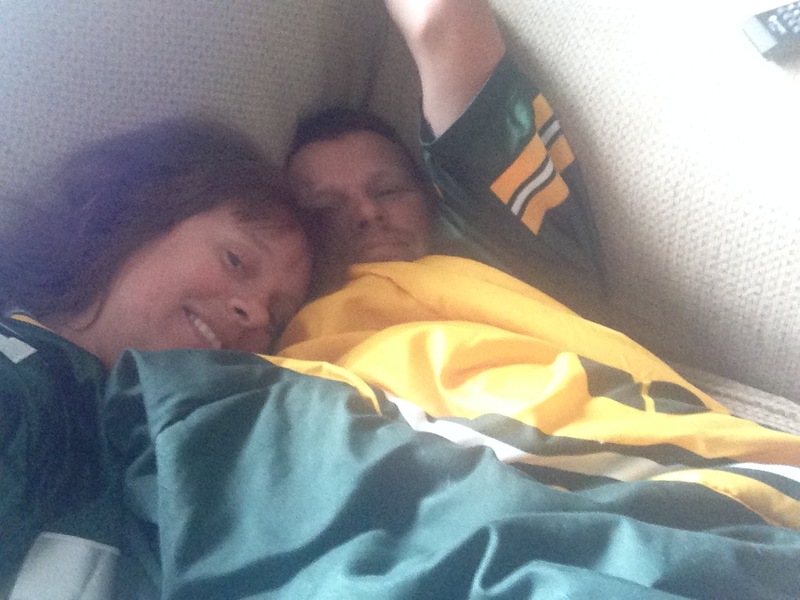 Long overdue silliness between the Buffalo Princess and the #1 Pick! Love this man!!! As the summer comes to a close (J heads back into school tomorrow to start meetings and preparing for students), this weekend was just what we needed. I hope y’all had a great weekend also!